Serums are not just another product to add to your skin care routine, they are an amazing way to harness natures powers and transport them into your skin. Whoever invented these powerhouses is to be commended, serums are a revolution to skin care. I would recommend sticking to organic and natural serums, thus avoiding the silicone-based conventional serums that form a plastic film on your face, and ultimately making you age faster. A serum is a skin care product that is meant to deliver powerful ingredients deep into the skin. They contain high concentrations of active ingredients that are meant to target specific concerns. Some are light and quick-absorbing water-based liquids, while others are richer and have plant oils as their base. All serums have one thing in common; they are meant to work deep in your skin, delivering active ingredients where they can do their best work. 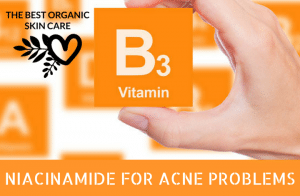 There are serums for brown spots, acne, wrinkles, hydration, reducing pores….. The list goes on. Each serum is made with a specific concern in mind, making it easy to customize your skin care routine. Serums are made of small molecules that deposit active ingredients deep into the skin. 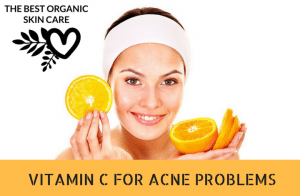 Contrast this to moisturizers which are meant to hydrate and work on top of the skin. Moisturizers contain thickeners – they are meant to form a barrier on your skin, serums don’t contain thickeners – they are meant to penetrate the skin. They are fully loaded with active ingredients that don’t fit into a moisturizer, serums can contain up to 70% active ingredients whereas moisturizers only contain 5 – 10 %. Your moisturizer still has it’s place in your skin care routine, as a sealer and hydrator. Start with a serum, seal with a moisturizer. Serums last a long time, a 1 oz bottle should last you months. Only a few drops are needed to get results. The reason serums are expensive is because active ingredients cost more than thickeners. Serums typically give results faster than a moisturizer, in 4-6 weeks you should be seeing a noticeable difference in your skin concern. Oily Skin: Water-based serums are great for people with oily skin who want a weightless feel to their products and no greasy residue left behind. We like Kypris Clearing Serum. Dry/Mature Skin: Those with dry or mature skin can choose richer ingredients such as plant oils for boosted hydration. We like Odacite Night Time Repair Serum. Sensitive Skin: These folks would want a serum with soothing ingredients that heal, repair and protect. Odacite Camelina and Chamomile Serum is an oil-based serum that works well on sensitive skin. Serums are applied after cleansing and toning, but before moisturizing. Wait a couple minutes to let the serum absorb, then apply your moisturizer to keep your serum from evaporating off your skin. Serums are Awesome but they aren’t for everyone. Check out Serums and Boosters – What are They For? And our Buyers Guide to The Best Organic Anti-Aging Serums. Do you have a favorite serum? Let us know in the comments below! Psst, guess what I am using and loving? 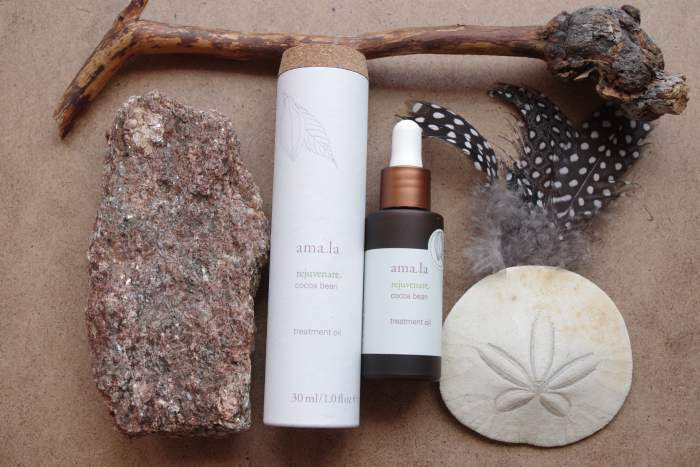 Amala’s Rejuvenate Treatment Oil, it is exquisite. Hello here, you have great website with information, which is important to everybody, who wants to keep their skin nourished, clean and in the same way to minimize aging process. Organic products are best, because they are without harming chemicals and heavy metals. Thank you for spreading so valuable facts, all the best, Nemira. My wife will love this! She’s always telling me about different ways she’s learned to take care of her skin. I’m sure this will be something she wants to learn more about! Thank you for creating such an easy to follow website! Thanks so much Benjamin, hope to see your wife dropping by! I’ve always taken my skincare seriously, but serums are the one thing that I do only occasionally. Thanks for showing how important they are in a skincare routine. Your welcome Betsy, I love using rich serums in place of a moisturizer. Hi Andrea. I always enjoy your posts. I’ve never looked at serums. I’ll share this page with my wife as well. Thanks! You are so right, Andrea. What we put on our skin is just as important as what we put in our bodies! This is informative and interesting. Looking forward to hearing more from you. Thanks Keye, I am glad you know what works for you. I like water-based serums as well, but lately I am really digging, light-oil based serums. I have been using them in place of a moisturizer even! One of my favorite oil-based serums is Odacite’s Jojoba and Lavender Serum. You can read my review for it here. Great post Andrea! I am using Argan face oil at the moment, now that I understand the difference between a Serum and a moisturizer it actually makes sense why my skin still feels a bit dry after a while – I was never following up with a moisturizer to lock it all in! Nowadays I really only prefer to use all-natural products on my skin. I used to use sunscreen religiously when I was in my teens, but I actually think that all the chemicals in them must have caused a lot of free radical damage, because my skin seems like it’s aged rather quickly. Talk about backfiring! Hopefully can reverse that through the use of serums. Thanks! Natural products are so awesome, I find they work so much better than artificial products. I absolutely love facial serums, especially oil based ones, my face feels so soft and nourished using them. A great anti-aging serum for reversing sun damage would be: Sun Damage Repair Serum by Laurel Whole Plant Organics. Hi Andrea, I’ve not used serums for many years, but I’d sure love to tackle my wrinkles around my eyes. I have to use simple products because if i start using products for aging skin, then my skin ends up oily. I like the idea of using the May Lindstrom The Blue Cocoon that you recommend, but it’s currently a bit past my budget. May be you could recommend something else for me? I’ve used oils, though not classed as serums, I have used them under my moisturizer, but again I end up giving them up because my skin begins to look shiny. Yes, oils can make your skin oily, and shiny. Sometimes, if I find an oil makes my skin too shiny, I will give my face a quick wipe with a cloth, to get rid of the excess oil. Water-based serums are excellent, as they don’t add more oil to your face. Kypris makes a lovely serum called Antioxidant Dew, it is pricey too though. May Lindstrom is an expensive brand for sure, she creates some serious luxury for your face. Her Blue Cocoon is lovely, but it would make your face slightly oily as well. 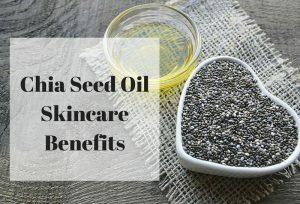 As for a more affordable alternative, I would recommend: Kahina Giving Beauty FEZ Hand and Body Balm, it has similar ingredients and is only $48 compared to $200 for The Blue Cocoon. If you want to target wrinkles around your eyes, a good eye balm will work wonders. I like Indie Lee’s Calendula Eye Balm.